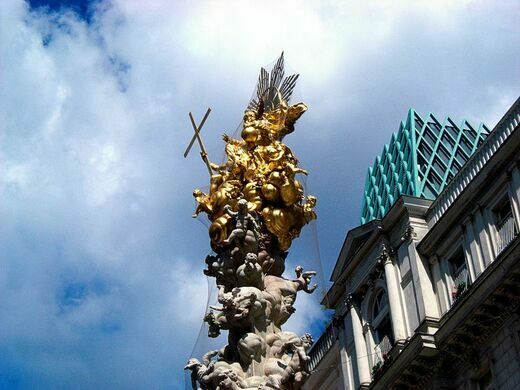 Placed in the middle of one of Vienna’s most famous streets the huge gilded, baroque confection of a sculpture at its center is in fact a memorial to the worst plague in Viennese history. The Great Plague of Vienna brought the imperial city to its knees. Death toll estimates range wildly from a merely upsetting 12,000 to a truly devestating 75,000 people. 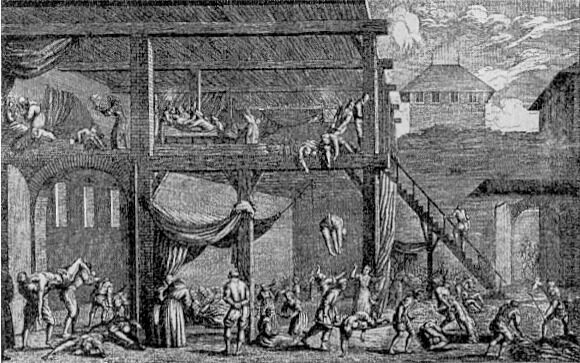 The killer is thought to be the same Bubonic Plague (Yersinia pestis) that raged first in the 14th century, and began a second tour of duty in the 17th. All across Europe, outbreaks of disease crippled towns, but Vienna, as a trade cross-road was perfectly placed for a true epidemic. 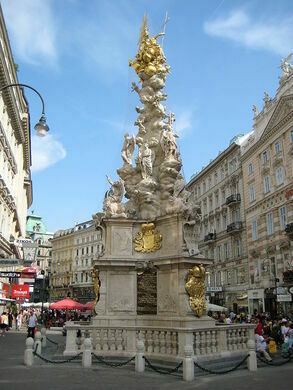 The Viennese Plague is notable for some of the first modern approaches to controlling the outbreak. While still wildly feared and treated largely with a mixture of religious speculation and leeches, city doctor Paul de Sorbait made the first inroads on sanitation measures to control the spread of disease, and the Brotherhood of the Holy Trinity created special plague hospitals to care for the infected, and deal with the bodies of the dead - most of which were burned outside of city limits in giant plague pits. Not great, but an improvement on the “just leave them there and don’t touch them” approach. 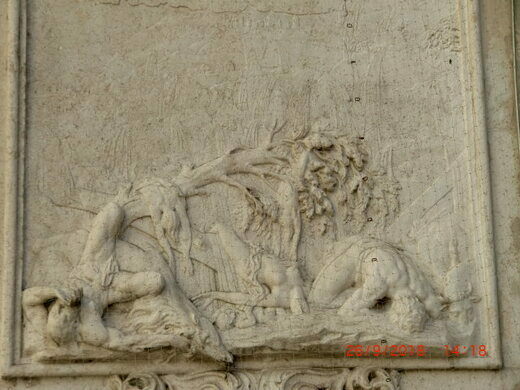 Freely mixing religious iconography with the Hapsburg dynastic motifs, the 69 foot tall tower is as much political propaganda as it is a sacred memorial. 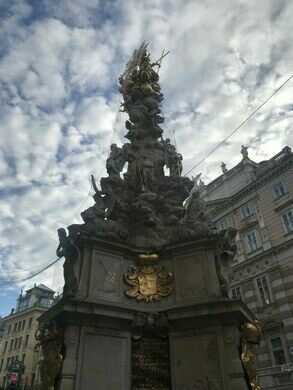 This elaborate column was erected in 1693 in the place of a simpler column erected during the plague by the Brotherhood. 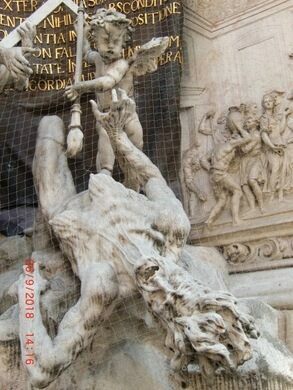 The figures at the base represent the triumph of faith over disease, while the mid-portion of the sculpture is dedicated to coats of arms and a praying figure of Emperor Leopold I - who, it should be noted, must have been doing that praying from a distance, as he fled the city during the outbreak. 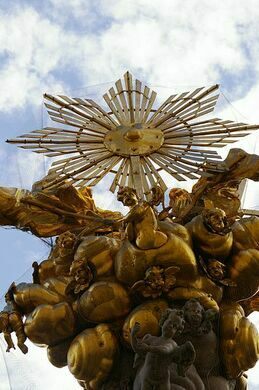 It is topped by golden cherubs and other religious figures, and, at last check, a rather unsightly mass of bird netting.